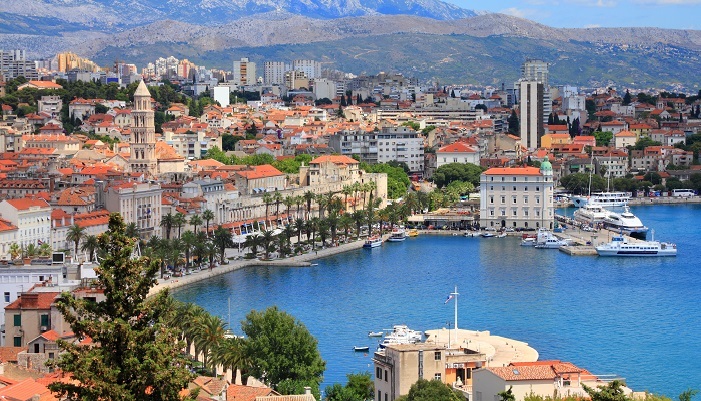 Did you know that the city of Split was named after the Spiny Broom shrub? This shrub has sharp thorns and bright yellow flowers in the spring. Because so many Spiny Broom shrubs grow around the Split area, the city was named after it. The Greek word for Spiny Broom is Spalatos, and over the centuries the name changed into Split. With the rich history that Split has, you would probably have expected a more interesting story about the origins of its name. 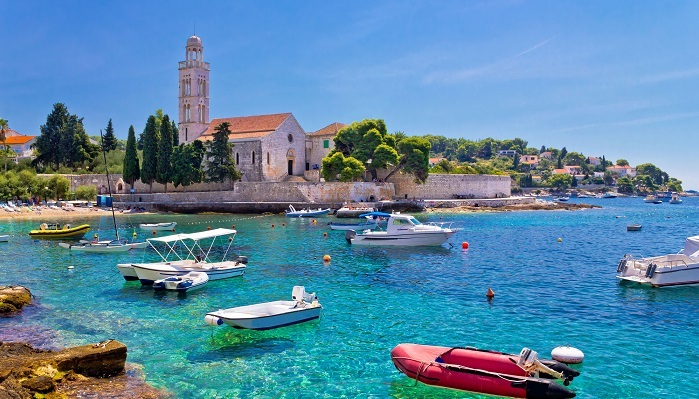 The second destination of this twin centre holiday in Croatia, the island of Vis, was originally named ‘Issa’ by Dionysius the Elder, ruler of Syracuse. We can imagine a name like that belonging to a mighty leader, a nobleman or a brave warrior at that time, making it sound far more interesting. 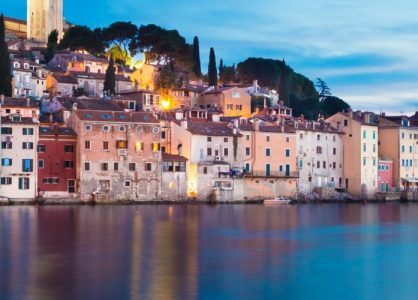 Although the Spiny Broom may not rank very high on the list of prettiest shrubs, the city of Split does score high points when it comes to the most beautiful cities on the Adriatic coast. 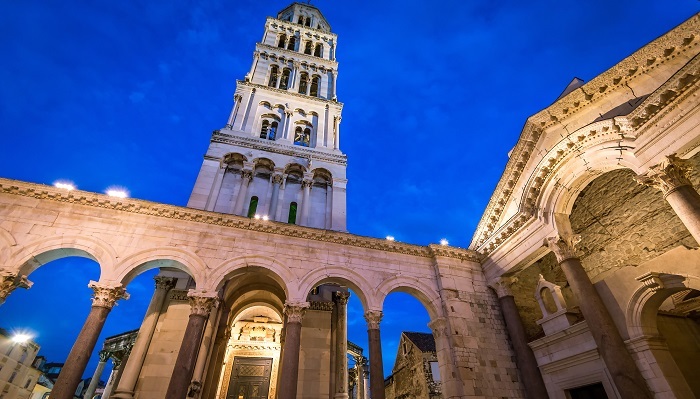 What makes Split so unique is the amazing Palace of Diocletian. It is one of the most imposing Roman ruins in the world, even though it doesn’t really look like a palace at all. It used to be the imperial residence of the Roman Emperor Diocletian but was actually designed as a fortified town, in which the daily life of city residents still continues right now. More than 200 buildings were built inside the palace walls and about 3000 people are lucky enough to call this amazing place their home today. Many proud restaurant and shop owners can say that they run their daily business inside a Roman palace that is more than a thousand years old. 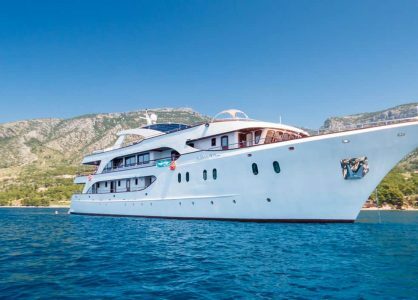 After the first part of your Croatia two centre holiday in Split, you will take the boat to the tranquil island of Vis, a place where the slogan ‘the Mediterranean as it once was‘ probably applies more than anywhere else in Croatia. 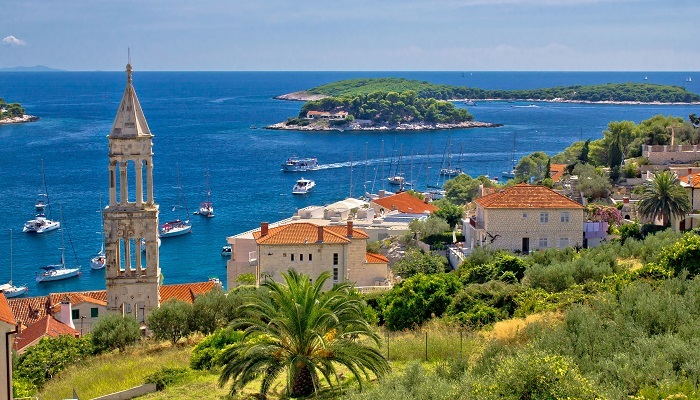 From the second world war until 1995, the island of Vis was an army base, which is one of the main reasons why Vis is still largely unspoiled. Its lack of development and long period of isolation is what gives Vis its special charm and that feeling of a pristine summer getaway. Vis Town and Komiza are the two main towns on the island and both are typical Dalmatian towns with lovely stone houses and narrow cobble stoned streets. In the restaurants and taverns in Vis Town and Komiza you can try the most delicious, fresh seafood dishes. Combine your meal with the island’s very own white wine, named Vugava, which will remind you a little bit of cider. If you would like to spend some time at the beach, you will have the choice between some pretty amazing sandy and pebbly beaches. Try Lucica pebble beach near Komiza, or Stoncica sandy beach (in a bay with the same name), which is a great beach for young children, not only because it is sandy but also because the sea is very shallow there. For a very special and unique beach, head out to Stiniva Cove, which is a protected national monument. This beach is a bit difficult to access but definitely worth the effort. 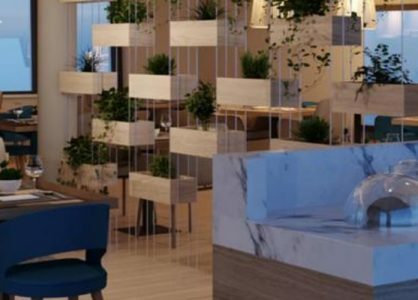 A Croatia twin centre holiday to the city of Split and Vis island allows you to experience the Dalmatian lifestyle in two very different ways, but they both have one thing in common; both the people of Split and the people of Vis enjoy that typical Mediterranean, laid back lifestyle that no visitor can resist.